This live CD marks a pivotal point in the history of the Who. They had started to play more concert dates in the US having made a major breakthrough at the Monterey Festival. At the beginning of 1968 they had been touring the US extensively before reaching New York and, as this CD demonstrates, they were a very hot live act. There was also a major change in the nature of the band's set. They only play about half of their UK hits and there are a number of cover versions, not the old R&B tracks that the younger Who may have played but full out rock & roll tracks from the likes of Eddie Cochrane and Johnny Kidd & the Pirates. This is a clear sign of a move towards a heavier sound in the way the Who played these classics and away from the Mod, pop art sound that may have been more appropriate back in England. There are just two tracks from the band's latest LP release with Tattoo and Relax but the classic I Can See for Miles seems a strange omission. There is also no place for the two most recent singes, Magic Bus and Dogs. The CD notes that Pictures of Lily and Substitute had opened the show but are missing due to "technical issues". Furthermore, Tommy is on the horizon and the release of the single Pinball Wizard is only one month away and the band were not yet previewing it at this stage. The closest nod to what was to come was the inclusion of the mini opera A Quick One (While He's Away). Townshend had been experimenting with the "opera" format and this extended piece consisting of shorter songs had made its debut as the title track of the Who's second LP. It was also arguably, the stand-out track from the Rolling Stones' Rock & Roll Circus later in 1968. In his introduction to the track, Townshend notes that it is more indicative of what will be coming in the future. The second disc in this set consists of one song only, a 33 minute version of the classic My Generation. It usually ended the band's set and Townshend introduces it as the last song. The audience must have been expecting a short set after this! However, the song is expanded with half an hour of improvisation and auto-destructive feedback. Here there are nods to the forthcoming rock opera with some chord sequences that are straight out of Tommy, most obviously Sparks. However, this is an outstanding set from a group at the peak of their live performance. The Who were the first British act to headline the Fillmore East which had been known previously as the Village Theatre. Music was changing from pop to rock and, like their peers, the Who were experimenting and improvising during long, drawn-out solos and instrumental sections. The instrumental prowess of Townshend and Entwhistle backed by the powerhouse and unique drumming of Keith Moon makes for an explosive combination where more subtleties are evident with each listen. Alongside the aforementioned My Generation, note the improvisation in Relax with even a nod to Cream. 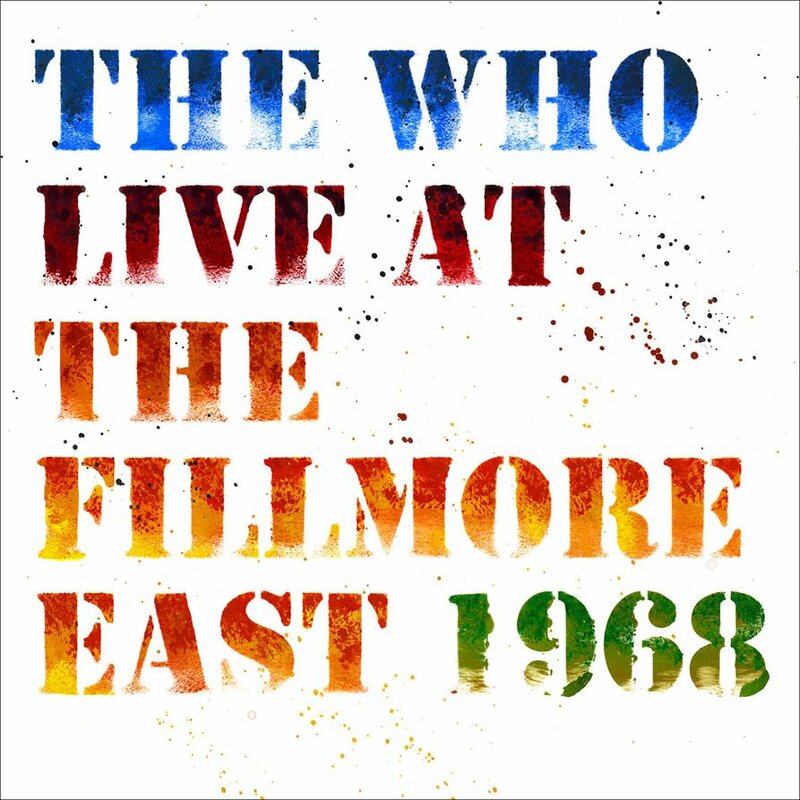 The Fillmore East recording have been available in bootleg form for some time so this release provides a high quality record of a top band at their peak.